A delicious crunchy cereal great for snacking. Per serving: low sodium, 0g cholesterol and good source of fiber. Kosher - Pareve. 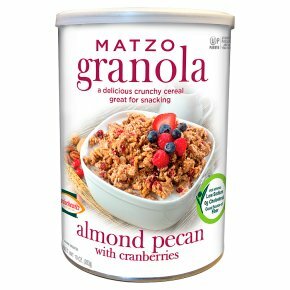 Kosher for passover and all year around.